Flow State occupies a different brainwave frequency pattern than we often use in our day to day. Meditation helps with accessing those subtler levels. Photo courtesy: Flow Shala. Summer Huntington’s movements are as light and airy as her studio space. My toes wiggle into the luxuriously fuzzy rug laying in the corner of Flow Shala. We have a lot to talk about, and quickly slip into the flow of things. Summer keeps the course sizes on the small side in order to provide more individualized attention. Photo courtesy: Flow Shala. At Flow Shala, Summer helps people access their own “flow state” through small-group programs and online courses. She specializes in systems related to fascia, yoga and mindful movement. She unites these components with an emphasis on the physiology of flow state to create a system for wellness and stress reduction. Flow state is when action and awareness merge and you become completely engrossed in an activity. In flow, the quality of your experience is sharpened. You likely spend most of your time in the Beta brainwaves that correlate with analytical thought and stress. In flow, you move to a Gamma brainwave-dominant state, which is associated with calm and focus. 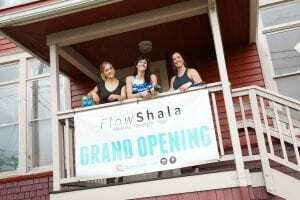 Summer Huntington opened Flow Shala in May of 2018 in the Fountain District of Bellingham. Photo courtesy: Flow Shala. 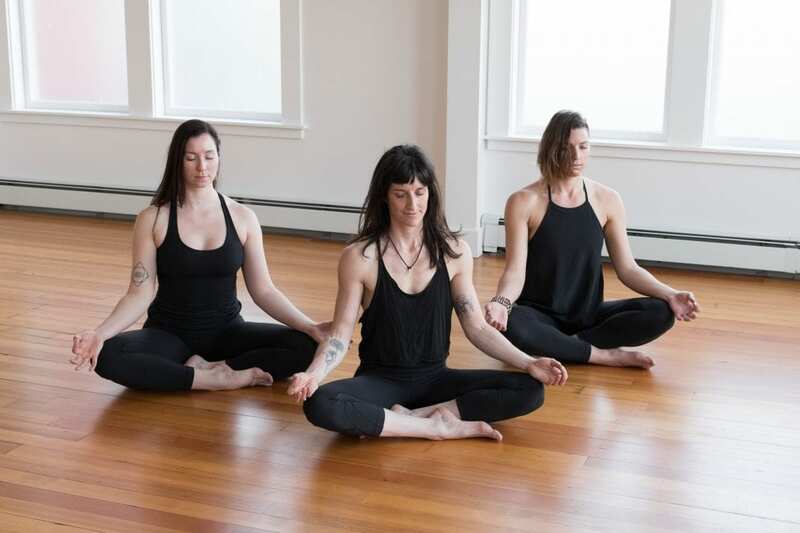 Float therapy is an increasingly popular treatment, and a great way to enhance your connection to flow state. Photo courtesy: Still Life Massage and Float. The weighted clubs and maces give your body more feedback about what muscles you’re activating in a pose. Photo courtesy: Flow Shala. She teaches body movement practices that “wring out” fascial meridians. This helps improve mobility and posture, and allows people to better access their yoga. Summer has a deep understanding of body mechanics and brain waves, which is what makes her practice so powerful. “I just call it ‘loaded yoga,’” she says with a chuckle. With so many factors, a progressive six-week course is the best way to absorb her curriculum. There’s a great deal of information and it takes time to put it into practice with your own body. Summer demonstrates an activated pose with a weighted club. Photo courtesy: Flow Shala. At Flow Shala, Summer merges the attention of personal training with group courses through high-level fitness coaching. Participants get the most from her system when they dedicate themselves to the sequential courses. Each class integrates knowledge from previous weeks. This allows participants to see the progress they’ve made in their mobility and state of mind. Float therapy is achieved by floating in a light and sound restricted pod of water. Photo courtesy: Sara Holodnick. Summer recommends finding at least an hour a week to devote to a stress-reduction and self-care practice. She’s also an ambassador for Still Life Massage and Float, and utilizes their tank once a week as part of her own stress reduction practice. “I highly recommend having a day where you prioritize self-care as part of a comprehensive wellness program and I believe floating is one of the best ways,” she says. Float tanks are like wombs, with the water set to skin temperature and the option to block out visual stimuli. Your body is suspended weightlessly in several inches of highly saturated magnesium water. For many, it makes accessing a place of quiet calm much easier. After all, everything’s better when you’re in the flow. 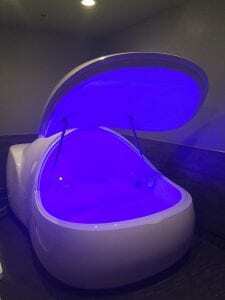 The space-age looking floating tank provides mental and physical relaxation. Photo courtesy: Still Life Massage and Float. Athletes recuperate and clear their heads in Still Life’s float chamber. Photo courtesy: Sara Holodnick. Everyone’s experience is unique and different when it comes to floating. Photo courtesy: Still Life Massage and Float.